ONLY 3 LOTS STILL AVAILABLE. FLEXIBLE OPEN FLOOR PLAN WITH 4 BEDROOMS PLUS LOFT SPACE. GOURMET KITCHEN OPENS UP TO FAMILY ROOM. NEIGHBORHOOD OF 12 HOMES W LARGE HOME SITES APPROX 1/3 ACRE. CLOSING COST ASSISTANCE WITH SELLER'S APPROVED LENDER & SETTLEMENT AGENT. Ready to visit MM Ethans? Request a free property tour! Send me more information about the listing at MM Ethans, Chesapeake, VA 23322, MLS# 10163664. 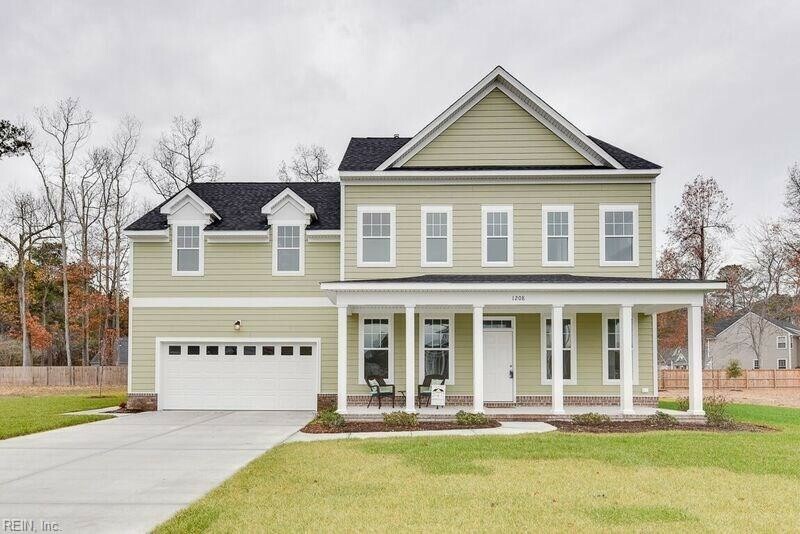 This 4 bedroom, 3 bathroom home located at MM Ethans, Chesapeake, VA 23322 has approximately 2,668 square feet. It is currently listed for $423,900 and has a price per sqft of $15,888. This home is currently Active under the MLS#: 10163664. This listing is provided by Howard Hanna William E. Wood. MM Ethans Mill, Chesapeake was built in 2017. It has Garage Att 2 Car, 2 Space parking.The kitchen includes Dishwasher, Disposal, Dryer Hookup, Microwave, Range, Washer Hookup. MM Ethans is part of the Great Bridge neighborhood located in 23322.